The BMW 1 Series is a chain of a well refined family hatchback with plenty of engines, offering great performance under BMW’s badge. Excellent interior gives perfect driving experience with lot of tech. Now we are in the second generation of the best premium small luxury hatchback. The BMW 1 Series is a worthy brand of the BMW since 2004. It has been produced in different models and body styles throughout its career. The BMW hatchback is the cheapest brand of the house with great performance and reliability. The BMW 1 Series is not limited to hatchback class but Coupe and Convertibles are also available in this series with different trim levels such as Standard Trim, Dynamic, ES, Sport, M Sport, SE and M Sport LE. In its first generation it was available in five-door hatchback, two-door coupe and two-door convertible with E-Series. Second generation is available in F-Series with LCI Facelift five-door hatchback and three-door hatchback. Now the German automaker has launched F20 LCI and F21 LCI. The BMW has used FR layout for its products. The BMW 1 Series is far better performer than its rivals. Though very competent names are there in the list of its rivals like the Audi A3, Mercedes A-Class and the Infiniti Q30, but the BMW is the most efficient because of its powerful and strong engine lineup. The BMW 1 Series has been equipped with a huge lineup of efficient petrol engines and frugal diesel engines. If we discuss the complete engine line-up of BMW 1 series then we will find a variety of engines in petrol and diesel regarding different models, for example the BMW 1 Series hatchback is available in several different engine versions such as 118i ES 1.5litre petrol engine is available in three-door and five-door hatchbacks. This engine is available in two different outputs with 127bhp and 140bhp. The 127bhp with 162lb/ft of torque 118i petrol engine is capable to take this car from 0-62m/h in 8.2 seconds with top speed of 130m/h. It gives 52m/g of fuel average with 125g/km of CO2 emissions. This engine is equipped with six-speed manual transmission and rear-wheel drive system. In five-door there is a 140bhp 1.5 litre petrol engine with four-cylinders and 16 valves. It gives 50m/g of fuel average with 129g/km of CO2 emissions. It takes 8.4 seconds to get from 0-62m/h. This minor descent in performance is because of the extra weight of five-door model. In BMW 1 Series Sport version, this 1.5 litre petrol engine is used as 118i Sport. It produces 134bhp with 162lb/ft of torque. It gives 56m/g of fuel economy with 116g/km of CO2 emissions. The top speed of this engine in sport edition is 130m/h with same sprint time as it achieved in ES model, 8.2 seconds. In Sport edition of BMW there is a 2.0litre petrol engine which is good for speed and acceleration. Though it is not as economical in fuel consumption as 1.5litre petrol engine, but maintains 47m/g of fuel average with 138g/km of CO2 emissions. This engine is capable to get from 0-62m/h in 7.1 seconds with top speed of 143m/h. This 2.0litre petrol engine gives the same performance in five-door or three-door versions. There is a six-speed manual gearbox is as standard with rear-wheel drive. In the BMW 1 Series, there is a second version in Sport model named M Sport available in the market. 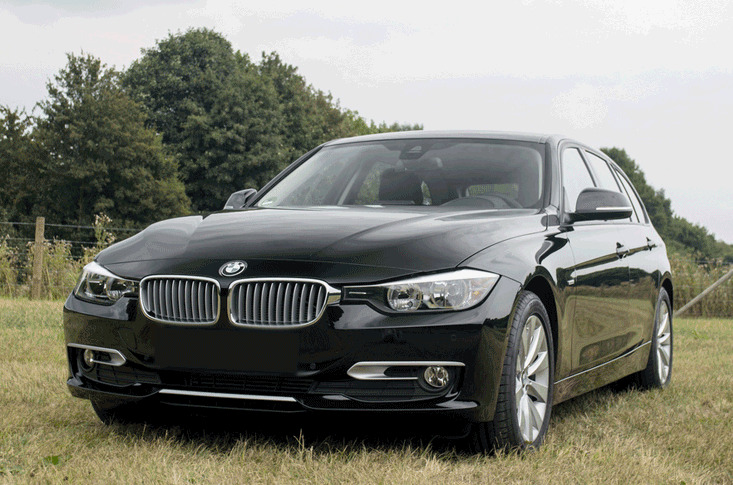 This trim level is equipped with 2.0litre petrol 125i M sport engine with automatic gearbox. This engine is really quick in performance. It produces 214bhp and 230lb/ft of torque. It is capable to get 0-62m/h in 6.1 seconds with top speed of 151m/h. its overall performance is good. It gives 48m/g of fuel average with 134g/km of CO2 emissions. In petrol engine range there is a 3.0 litre petrol engine M 140i at the top. It produces 321bhp with massive amount 332lb/ft of torque. It is a six-cylinder engine with lot of power, gives a smooth drive in the town and cruising on the motorway. It is equipped with eight-speed automatic transmission system, which is efficient in working. It takes only 4.8 seconds to get0-62m/h with top speed of 155m/h. Its high performance in speed and cruising compensates its low fuel economy. It gives only 36m/g with high amount 179g/km of CO2 emissions. Diesel engines range of the BMW 1 Series is as impressive in performance as its powerful petrol engines range, but with good fuel economy diesel engines are considered as the best. Diesel engines range starts with1.5litre 116d SE diesel engine. It produces 114bhp and 199lb/ft of torque. The diesel engine range of BMW 1 Series is very smart in fuel consumption. This unit gives massive 78m/g of fuel average with low 94g/km of CO2 emissions. Though it is not as quick as the petrol engines are, but manages good top speed of 124m/h with 10.0 seconds 0-62m/h sprint. It is equipped with six-speed manual gearbox as standard. After that there is a 2.0litre 118d SE diesel engine which is capable to maintain the top speed of 132m/h. It produces 140bhp and 236lb/ft of torque. It takes 8.3 seconds to get from 0-62m/h. It gives 71m/g of fuel average with 104g/km of CO2 emissions. In Sport trim level, the BMW 1 series is equipped with 2.0litre 120d Sport diesel engine. This diesel engine is quick in performance. It produces 181fbhp and 280lb/ft of torque. The maximum speed of this engine is 143m/h. It is capable to take the car from 0-62m/h in 7.1 seconds. It is quite efficient in performance and maintains a good fuel average of 62m/g with 119g/km of CO2 emissions. The 2.0litre 120dxDrive Sport Auto diesel engine reduces the sprint time from 7.1 seconds to 6.8 seconds with top speed of 138m/h. The BMW 1 Series Efficient Dynamics Plus has used a 1.5litre diesel engine which achieves the highest fuel economy of 83m/g. At the top of this dynamic range of diesel engines, there is a 2.0litre 125d M Sport Auto. It produces 214bhp and 229lb/ft of torque. It is very close to 125i M Sport Auto petrol engine in performance. It takes 6.3seconds to reach 0-62m/h with top speed of 149m/h. It is the fastest diesel engine in the range with good fuel economy of 61m/g. It emits 121g/km of CO2. The 2.0litre 120d is equipped with six-speed automatic gearbox as standard and 2.0litre 125d is equipped with eight-speed Automatic gear transmission as standard.